Amazon Japan’s “Buy 2 Nintendo Switch Digital Titles and get a discount” sale has kicked off today. The sale begins December 7, 2018 6pm JST and ends December 11, 2018 1:59am JST. To receive a 20% – 25% discount off both titles, you’ll need to purchase one title in Group A and another title in Group B. In order to purchase digital titles from Amazon Japan, you need to have a Japanese shipping address in your address book. More details on that can be found under the Digital Titles section of this guide. 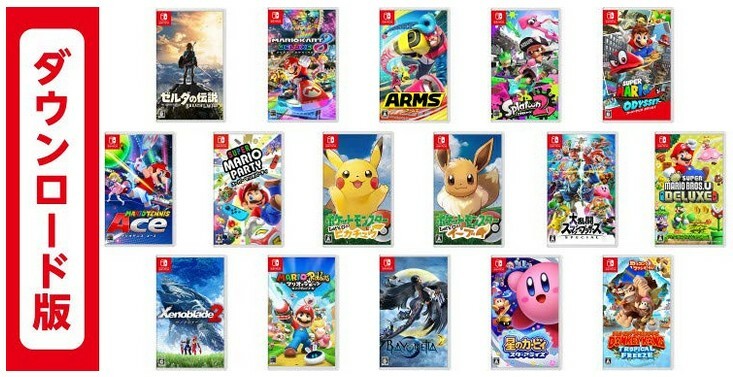 Digital codes purchased through this sale can be redeemed on a Japanese region Nintendo Account. Click here to buy the digital titles on Amazon Japan.